The quality of care that an injured worker receives after an accident can have a direct influence on the outcome of a Worker’s Comp claim. Physicians swear an oath to “first, do no harm,” but through haste, inattention, negligence or incompetence, the opposite may occur. Patients who suffer from medical malpractice need a reliable and experienced authority who can explain what went wrong to clients, a judge and a jury in a court trial. 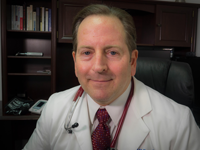 As an emergency room physician, Dr. Edward Mallory has extensive experience in determining the most effective treatment for severe injuries soon after they occur. His residency training and board certification in emergency medicine qualify him to practice in several hospitals. Desiring to assist people who may face the consequences of medical malpractice, Dr. Mallory devotes his primary efforts to providing his expert opinion in court. His written and oral testimonies provide a factual basis for interpreting cases that involve medicine. Judges require juries to consider expert opinion because the technical information in medical malpractice cases needs interpretation by a qualified expert. Anyone who needs an expert witness to testify to the court regarding medical malpractice can seek assistance from Dr. Mallory. The U.S. Bureau of Labor Statistics reports the causes and frequency of nearly 3 million reportable cases in 2015. Overexertion, slip or trip accidents, falls, being struck by an object and vehicle crashes are among the types of injury requiring medical treatment. Workers who carry a weight that is too heavy or who strain to push or pull a load can suffer from overexertion. The condition may occur from stretching, bending, reaching or using excessive force that strains muscles. Patients who experience overexertion may also have health problems that include fatigue, dehydration and low blood sugar. Some consequences of slipping or tripping include pain, discomfort and lost days at work. Bones can break or fracture, and lower back pain can affect the ability to sit or walk. Injuries to the neck and head frequently occur and may result in brain or spinal cord damage or concussion. Victims of slip or trip accidents need treatment by a qualified physician who takes the proper steps to address the condition. The height of a fall usually affects the extent of the injury that a victim receives, and the position at landing influences it as well. A person’s physical condition, including age, gender and size, may affect an injury. Victims of falls need competent medical treatment to assist in recovery from injuries. In a fall, a victim may break bones and receive brain and head injuries. The back and spine, as well as soft tissue and internal organs, may receive injuries. Workers can receive extensive or fatal injuries from being hit by objects that include cranes, trucks, falling objects, concrete walls and carts. Extensive injuries usually require prompt and competent medical treatment. Motor vehicle crashes cause some of the most devastating kinds of trauma that result in potential injury to every part of the body. Psychological effects and personal injuries can last a lifetime. The impact that accident victims experience inside a vehicle or from being thrown can produce injury to the chest, neck, abdomen, back and all joints. Nausea, weakness or numbness in the arms and legs, severe headaches and vomiting can indicate the seriousness of injuries. The duties of a medical malpractice witness perfectly match the skills and experience of Dr. Edward Mallory. He examines each case to find whether or not the physician who treated a victim met professional standards of care. In his review, he compares the skill and knowledge of that physician to the performance of a competent and responsible practitioner under the same circumstances. After reviewing the medical records and researching appropriate standards of care, he is ready to give his expert opinion of what went wrong and why. He may present his opinion as an expert witness verbally, in a written report or by appearing in court. He offers his solid reputation and more than 25 years of experience as a doctor and expert witness to help victims receive justice.